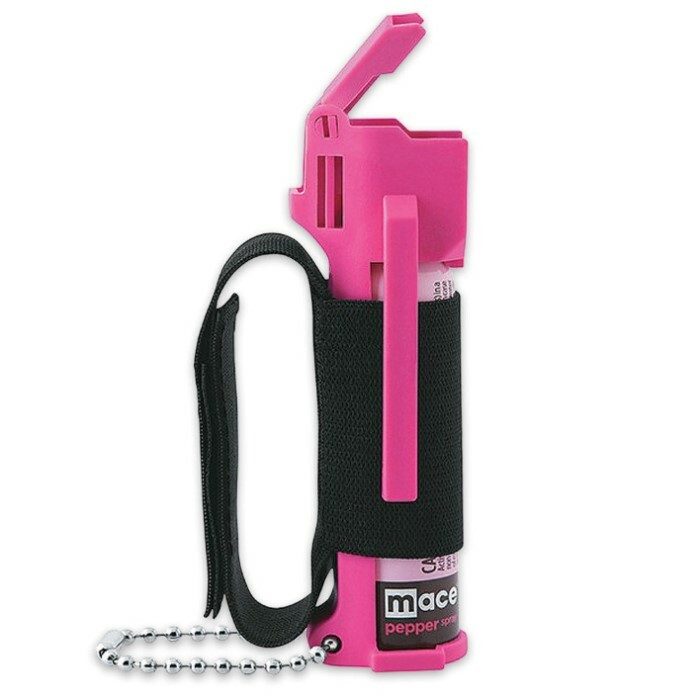 Mace Sport Jogger Defense Pepper Spray Hot Pink | BUDK.com - Knives & Swords At The Lowest Prices! Self defense just got a whole lot prettier with this Mace Sport Jogger self-defense spray! It may be housed in a pretty pink canister, but there will be nothing lovely about this spray when it blinds would-be assailants! 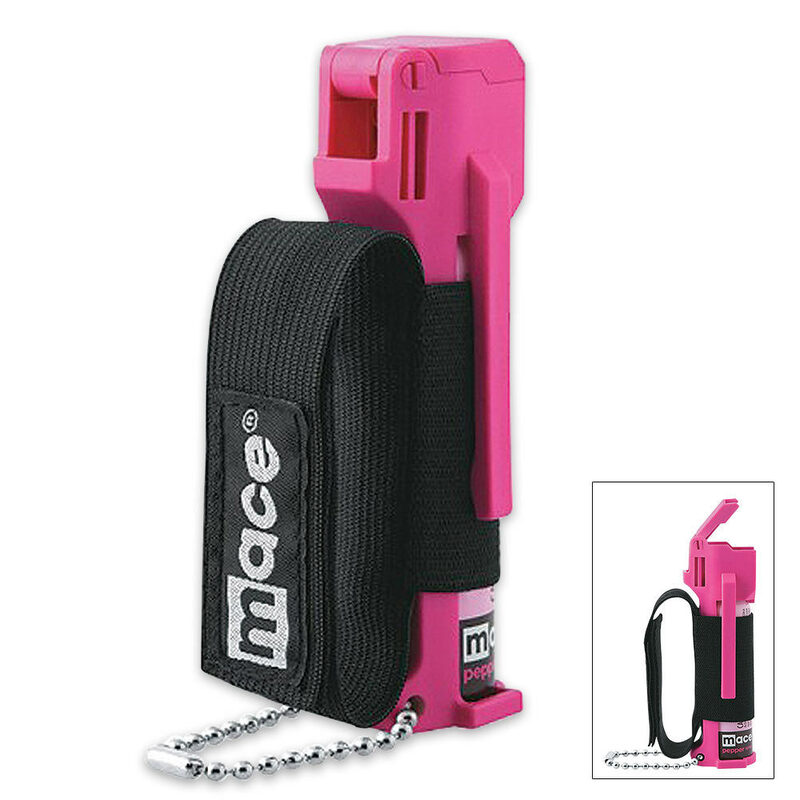 This Mace features 10% pepper spray (1.4% capsaicinoid concentration) formula that will make an attacker suffer. The base of this substance is derived from cayenne peppers and creates an intense burning sensation when it hits the eyes, skin or throat that will disable the criminal quickly. Even better, it features a UV dye that clearly marks the assailant to aid in identification later on. As these thugs and criminals get more and more brazen, we have to become more and more vigilant with our personal protection. This is great for purses, pockets, walks, jogs and at your beside table.